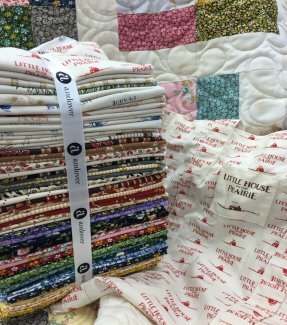 Little House on the Prairie Fabric is HERE!! First 100 customers receive a free gift with purchase! You've been waiting patiently...and it's here! All 53 beautiful bolts of Little House on the Prairie by Andover. We are busy cutting some bundles, fat quarters, and a couple of kits are in the works. We will have a fun display ready for our Open House this Friday!